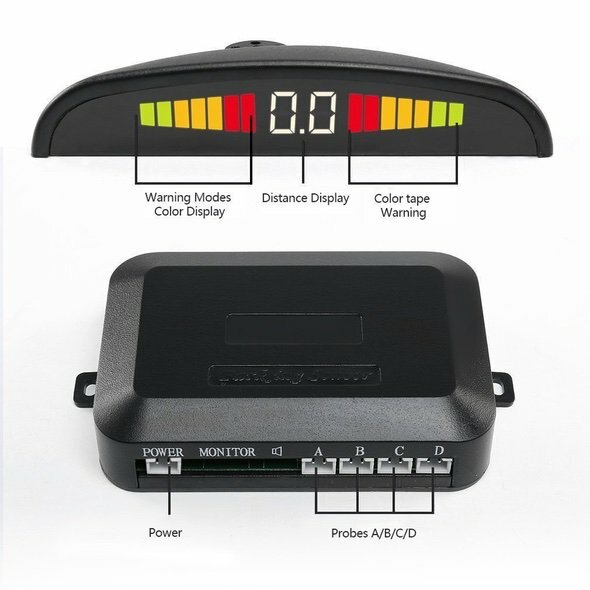 If you happen to have a vehicle that doesn’t have a rear camera or backup sensors, you should check out an aftermarket reverse/backup radar system. A friend of mine has an older pickup truck and has a tough time backing up. The truck is so long that he can’t tell if he is 6-inches or 6-feet away from obstacles, not to mention the dangerous blind spots. Long story short, we spent about 4-hours installing the system this weekend. Read on for that review. First things first, this install isn’t incredibly difficult but shouldn’t be attempted by someone who has zero electronics knowledge. 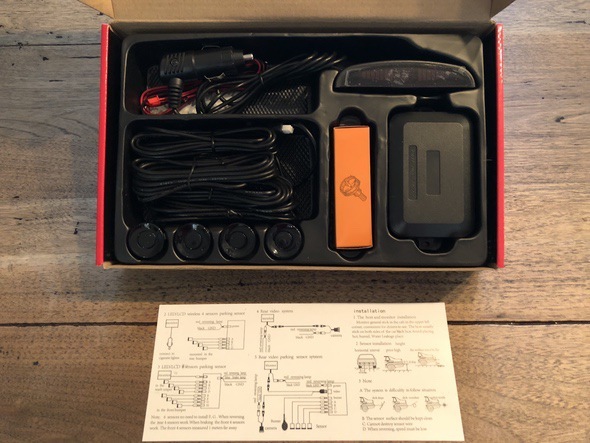 You will have to be able to locate a 12V line that is switched hot when your vehicle is put into reverse as well as a solid ground. Again, not too tough for some… but impossible for others. Know your ability before diving in. Also, you will have to drill four 22mm holes in your bumper. More on that later. 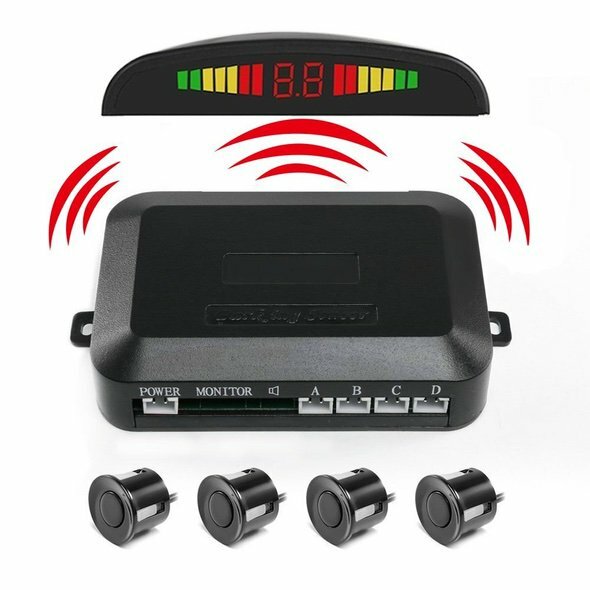 Quality/Look and Feel – The Pemenol Wirless Vehicle Reverse Radar Parking System ($33) is pretty well thought out. 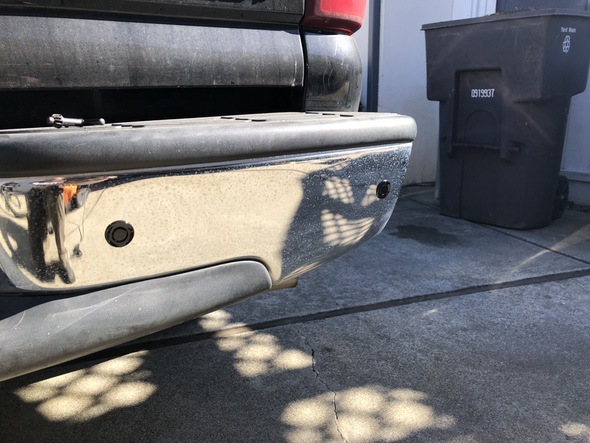 The four sensors have rubber side mounts so that when they are inserted into the bumper (via the holes you have to drill) they stay put without having to use a silicone glue. The control unit/transmitter is pretty self explanatory with 4 sensor inputs labeled A, B, C, and D as well as a power/ground input (shown above). The LED display comes with double-sided tape for mounting on your dash, console, mirror, or wherever you choose. 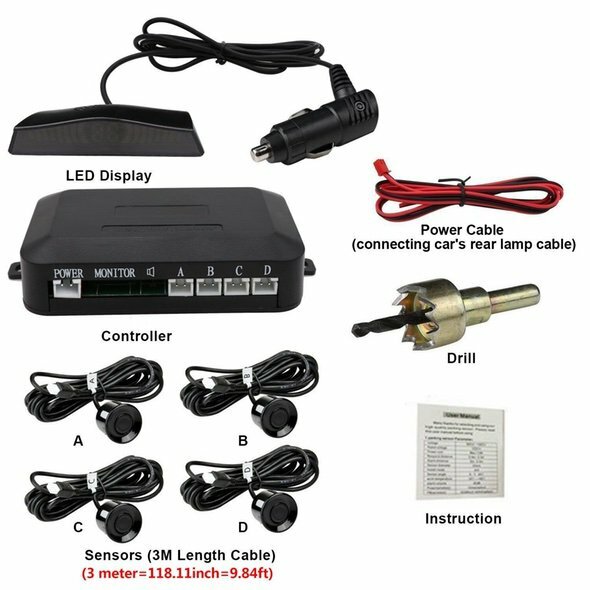 The LED display comes with a cigarette lighter plug for quick and easy installation. We opted to cut off this adapter and hard wired the display/receiver. The 22mm hole-saw drill bit that comes with the kit was a nice touch but is only good for cutting through plastic bumpers. In our case it was installed on a Chevrolet Silverado truck that has solid metal bumpers. We had to use our own drill bit as the one included had zero chance of cutting through metal. Keep that in mind if your bumper is metal. 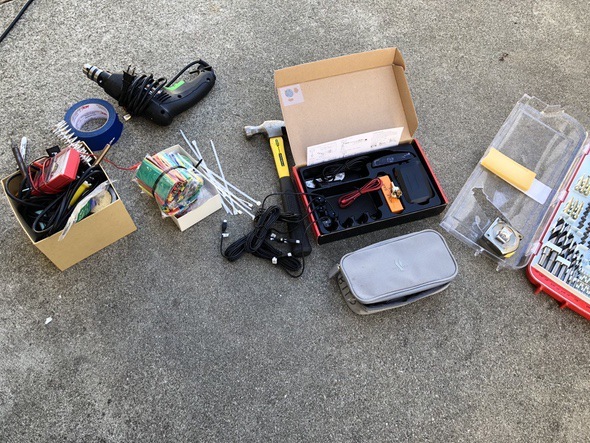 Ease of Use – I am going to split this into the install phase and the actual “use” part. Installation isn’t tough but will take some rudimentary knowledge of how a cars electrical system works. 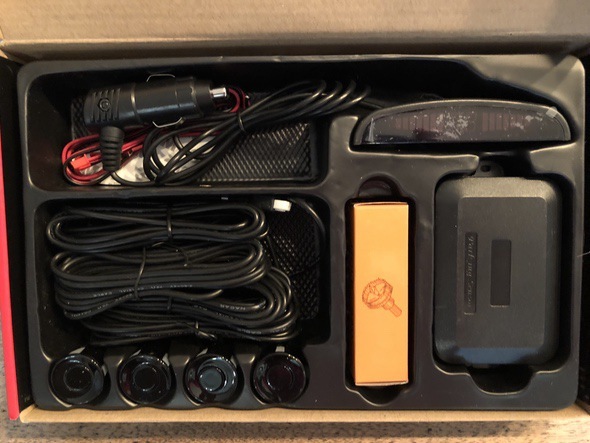 You will also need to be able to find a 12V power source that activates when the car is switched in to reverse. Typically this will be pulled near the rear twilight where the wiring goes into the brake/reverse light housing. You will also need to be able to locate a ground wire or grounding spot. Drilling holes in your beautiful bumper will also take some skill. 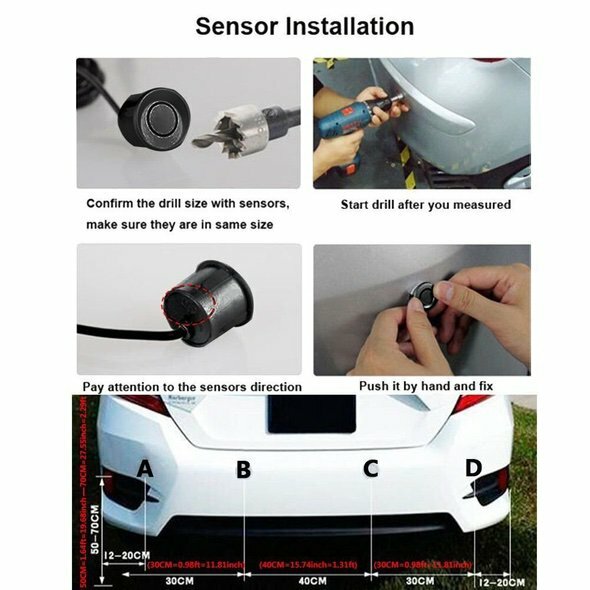 You will have to make sure you measure and space the sensors properly, drill the holes in your bumper properly (being careful to find spots with nothing behind the bumper), and run/connect/tuck the wiring. This is time consuming but necessary to have a good clean install. The LED display that receives the wireless signal is the easiest part of the installation (assuming you are using the cigarette adapter). 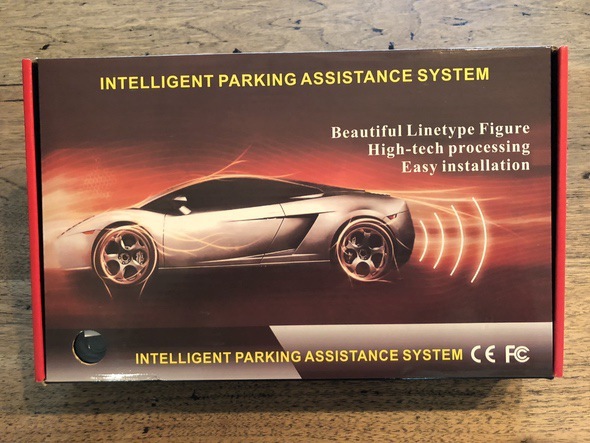 You simply have to find a good location for the LED display/alert unit, attach the double-sided tape, run the cable, and plug-in the cigarette lighter adapter. You’re done! Using the system is very easy. Once you put the car in reverse the display will immediately wake-up and report distance in three different ways. Visually it will show the distance to obstacles in meters and will display bars from green to yellow to red. These display bars are also side specific so you know where the obstacle is. 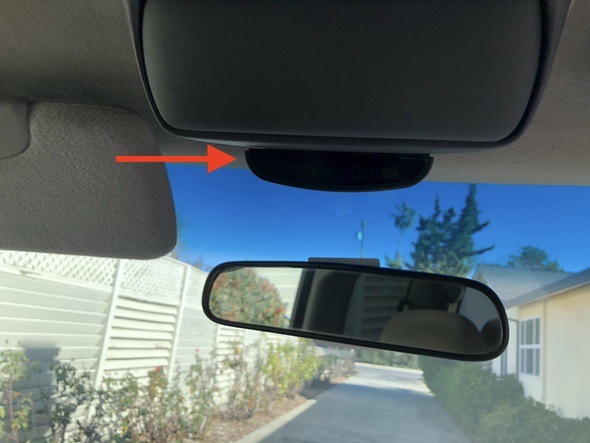 Additionally the display unit will beep slower to faster as obstacles get closer and ultimately a solid beep will sound when you should stop reversing. Packaging & Manual – The packaging is great. There isn’t any wasted space and everything is protected and displayed nicely. The schematics of the manual are good. The English (a pet peeve of mine) isn’t that great but good enough to understand the intent.